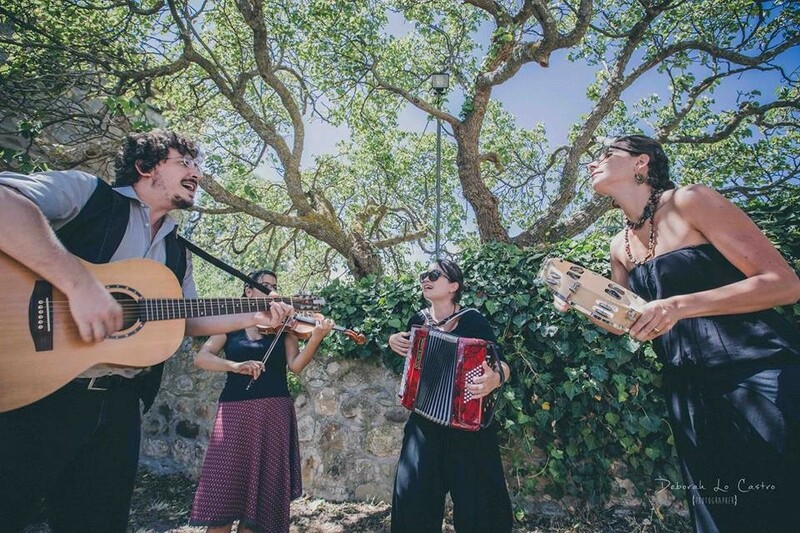 Le Matrioske play some of the most interesting music and dances of South Italy and European Balfolk. They are toghether since 2011, since they met in Palermo (Sicily) the city, where they are based. Their first mad passion was the music of the Suthern Italy, like pizzica, tammuriata, Sicilian and Calabrian tarantella, with the complexity of styles and differences of its music and dances., so they can express in it the rhythms, the roots and rituals that speak our language. Thanks to their constant travel experiences, festivals, meetings with precious passionate people around Europe, they have acquired one more peculiarity: Balfolk (French bouree, mazurka, gavotte, scottish) and dances from other countries, such as Irish jigs and polkas, Spanish fandango, Portuguese repasseado, Greek trata, Russian troika. The result is a fantastic show that well represents some of the most interesting traditional music and dances of the Italian Feste a ballu and European Bal Folk creating a meeting of people and culture in a dancing party!